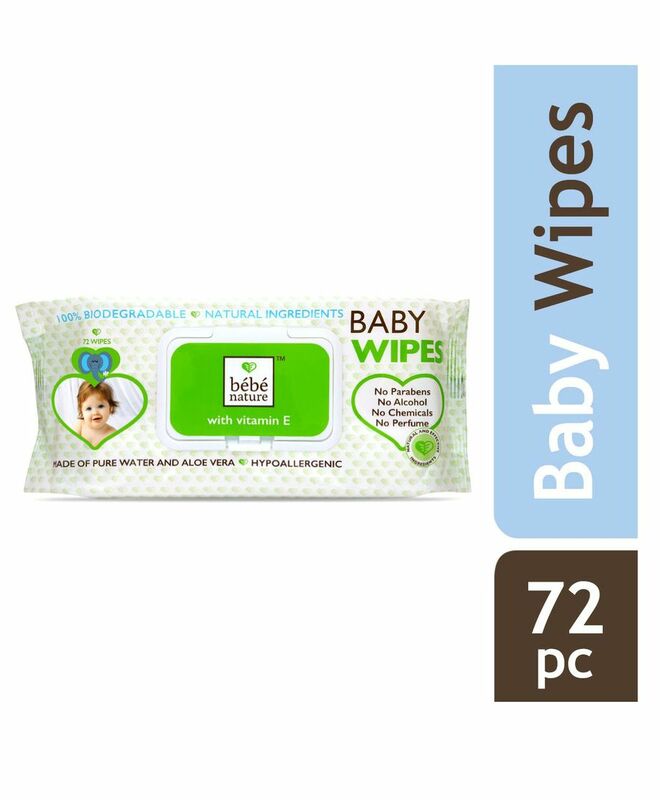 Bebe Nature Water Wipes are formulated specifically for super soft and delicate skin of your baby. 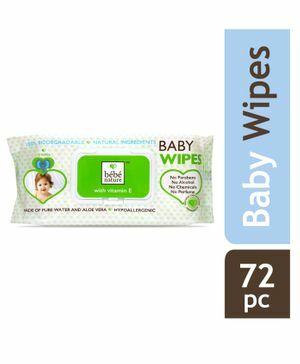 The presence of pure water & natural ingredients makes Bebe Nature baby wipes as good as cotton & water. The skin-friendly natural fabric is velvet soft, cleans well and provides very safe and effective cleansing. These Wipes are 100% biodegradable which makes them environment-friendly too.